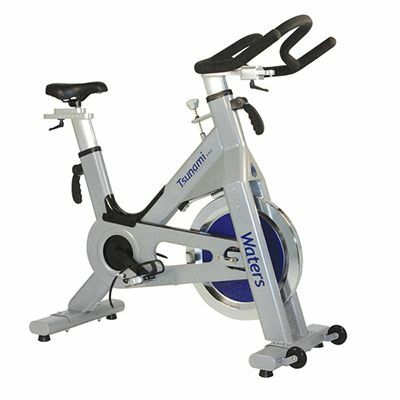 The Waters Fitness Tsunami Pro commercial indoor cycle features a 22.7kg (50lbs) flywheel to ensure silky smooth operation and allows for resistance changes via the +/- turn dial to guarantee greater workout versatility. This sturdy and durable machine offers an optional console with an LCD display providing feedback on time, distance, MPH and calories. The Tsunami cycle is equipped with a comfortable, adjustable racing saddle and adjustable Fore and Aft handlebars with a quick release ratchet system for added comfort. It has wheels for easy transportation and comes with a metal chain guard, an integrated sweat hood and a large bottom bracket shell for added durability. Resistance and Brake: Resistance changes via the +/- turn dial and large 'stop' button feature. 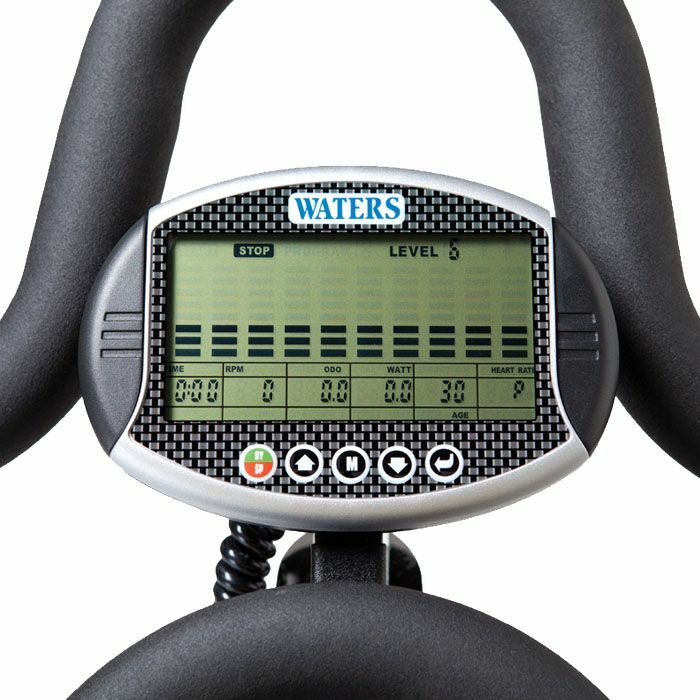 for submitting product review about Waters Fitness Tsunami Pro Commercial Indoor Cycle.